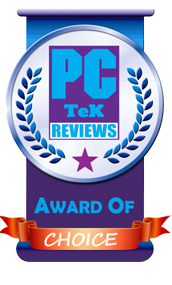 30 Jan, 2019 Rakesh Sharma Reviews . 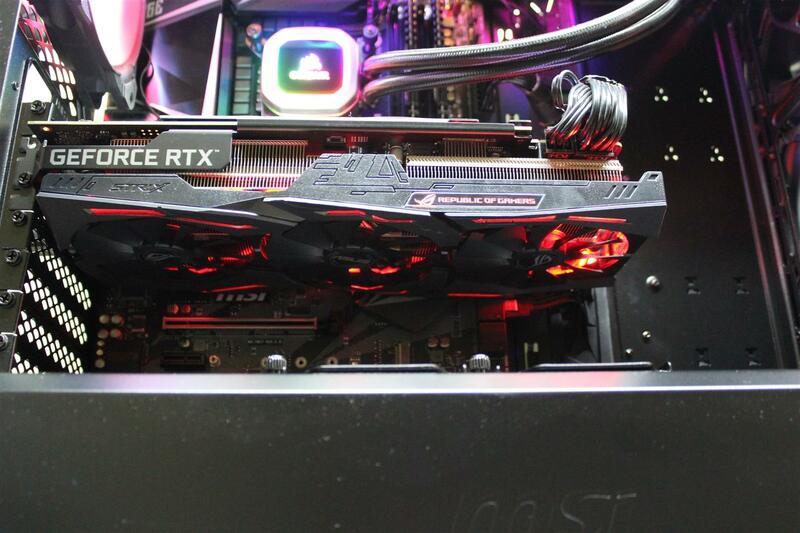 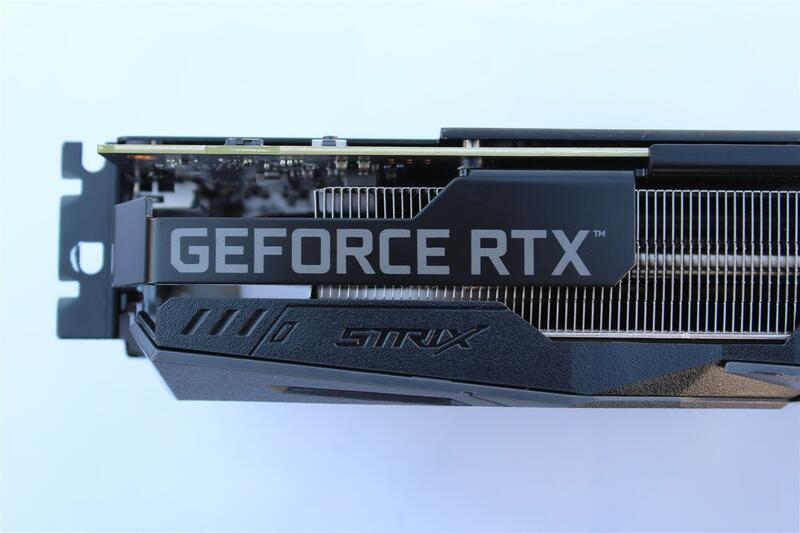 During CES 2019, Nvidia officially announced the RTX 2060 graphics card, a mid-range Turing-based GPU announced to be 60 percent faster than the older GTX 1060 in current gaming titles. 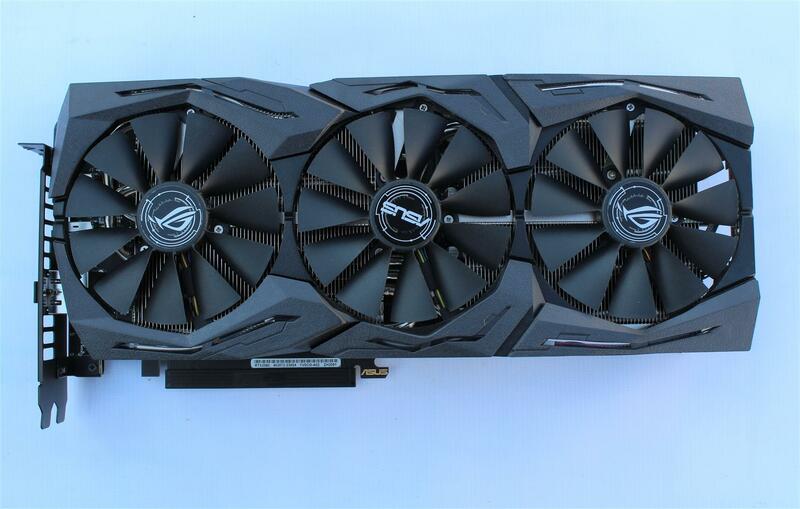 Same time ASUS also unveiled its RTX 2060 product line. 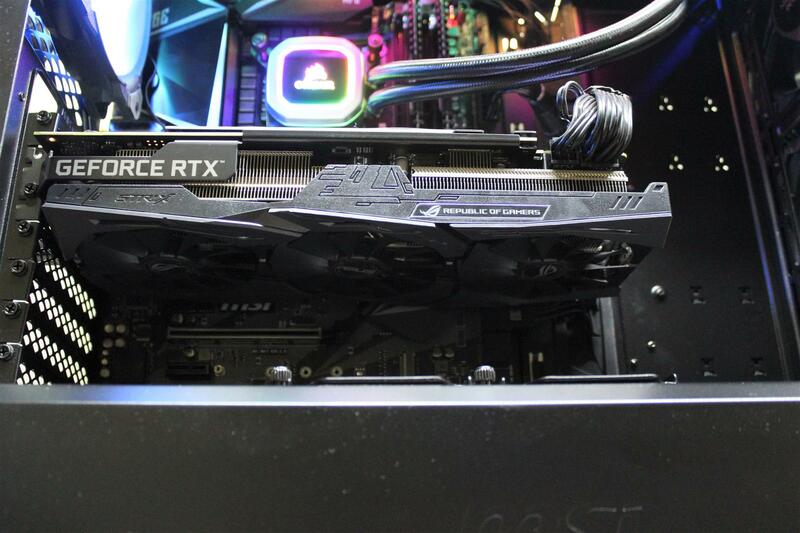 Earlier ASUS India has given us the opportunity to have a hands-on experience and tests the ASUS ROG STRIX RTX 2070 OC Gaming graphics card. 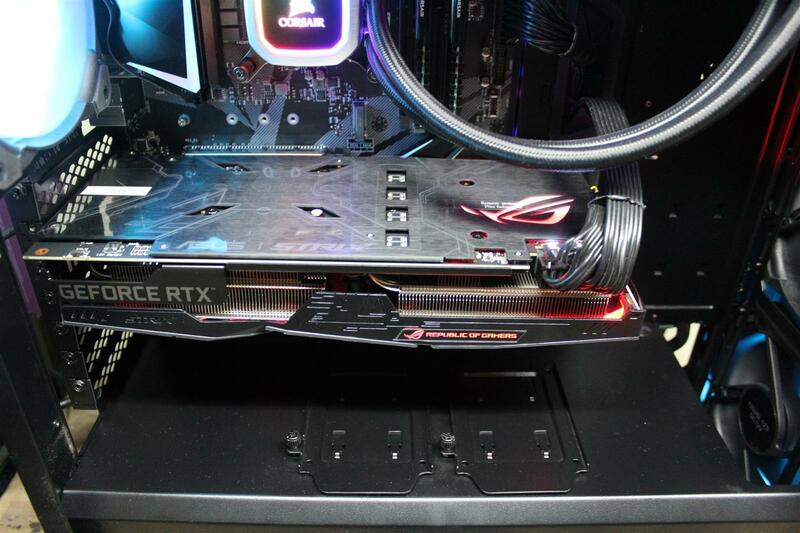 Review is here. 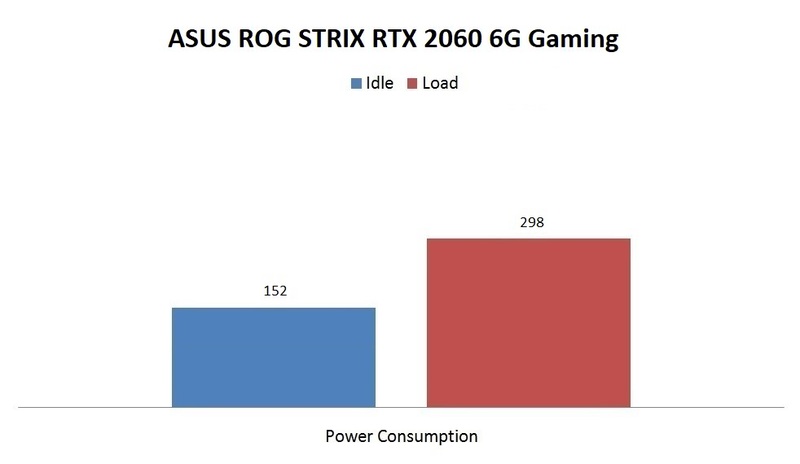 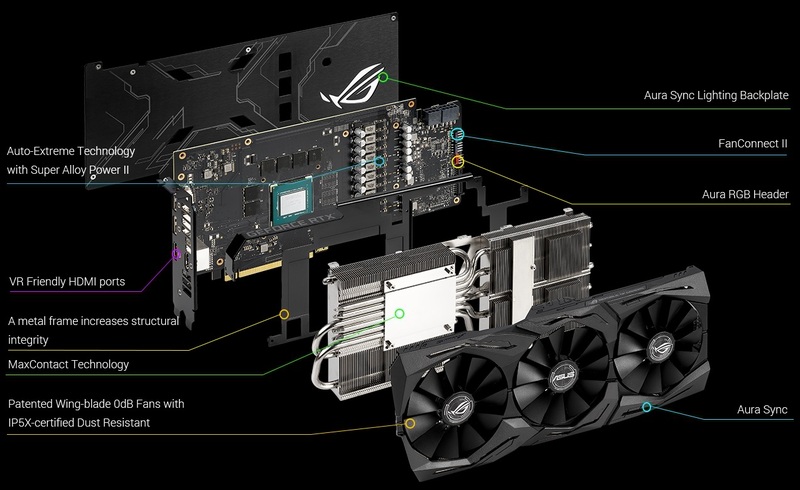 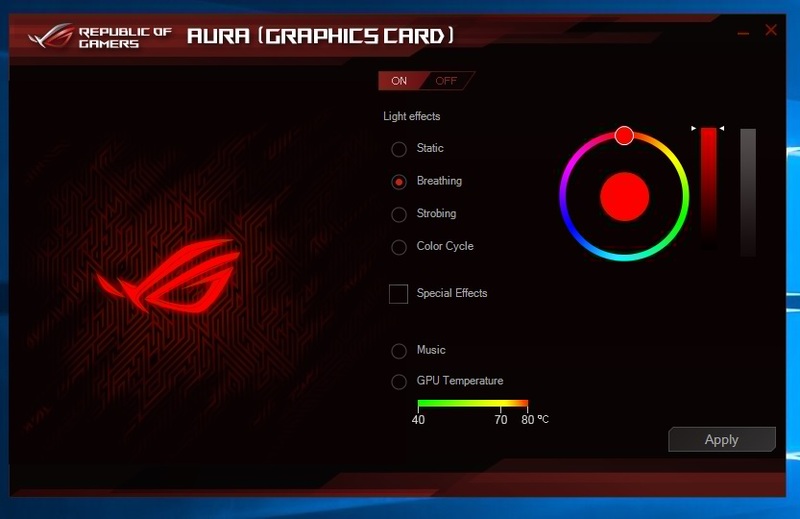 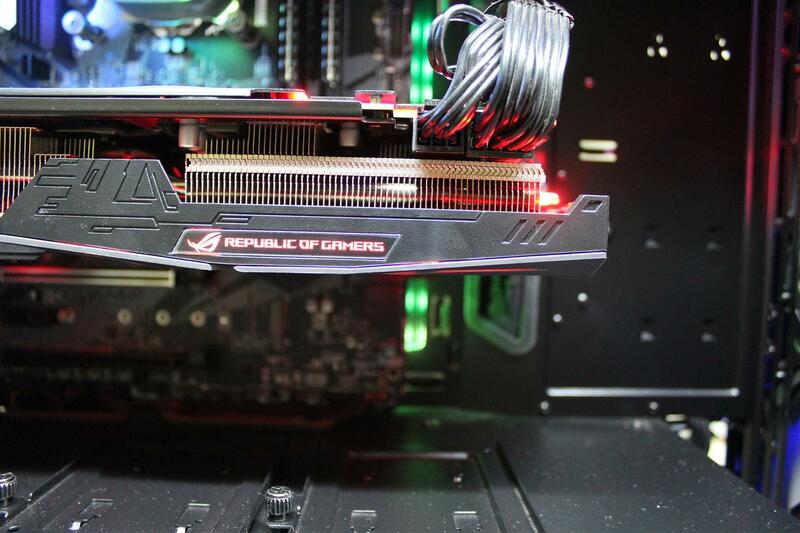 And today, we are reviewing ASUS’s Republic of Gamers (ROG) STRIX variants of the RTX 2060, with faster GDDR6 memory, real-time ray tracing capabilities, triple fan cooling solution and a custom PCB design, the ASUS ROG STRIX RTX 2060 6G Gaming card. 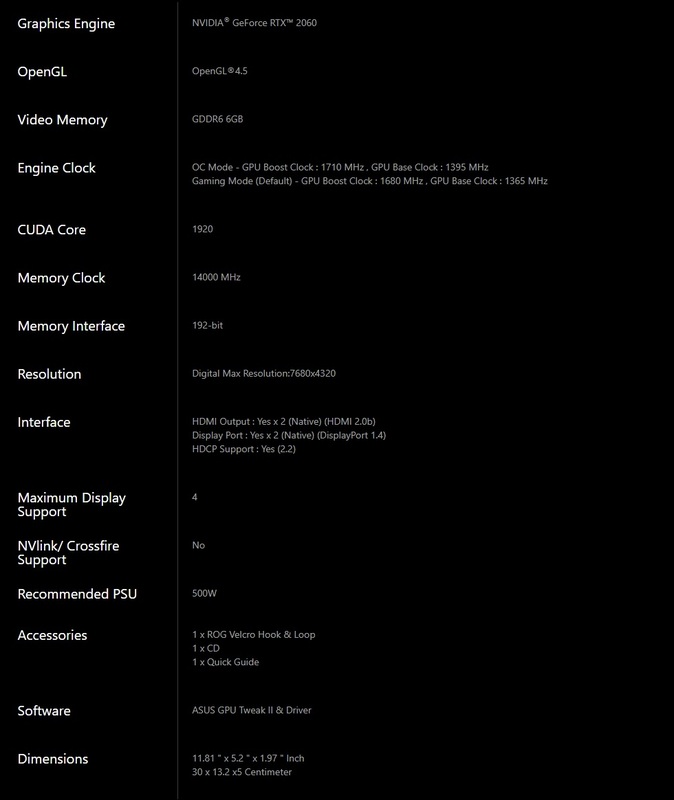 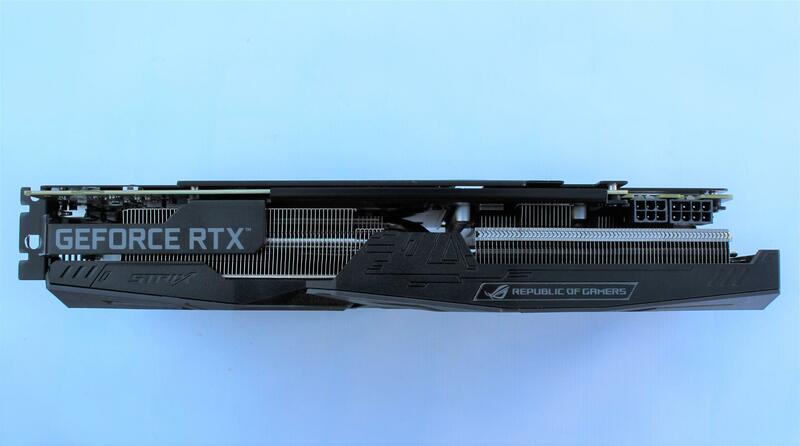 Nvidia’s official reference RTX 2060 comes with 240 Tensor Cores, 1920 CUDA cores, a 1365MHz/1680MHz base/boost clock speed and 6GB of GDDR6 RAM running at 14Gbps. 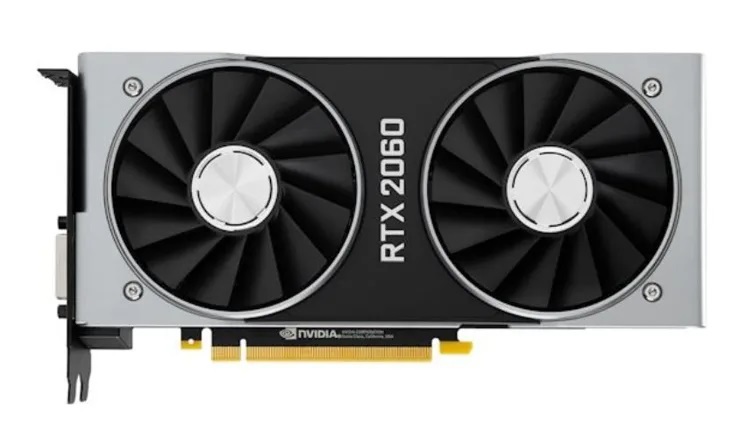 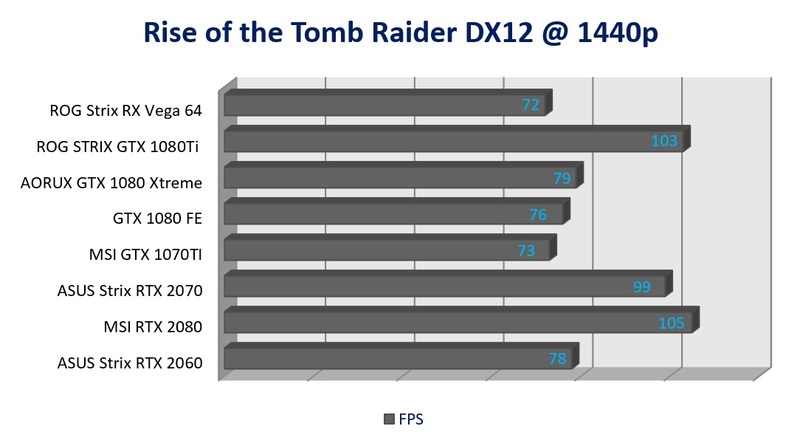 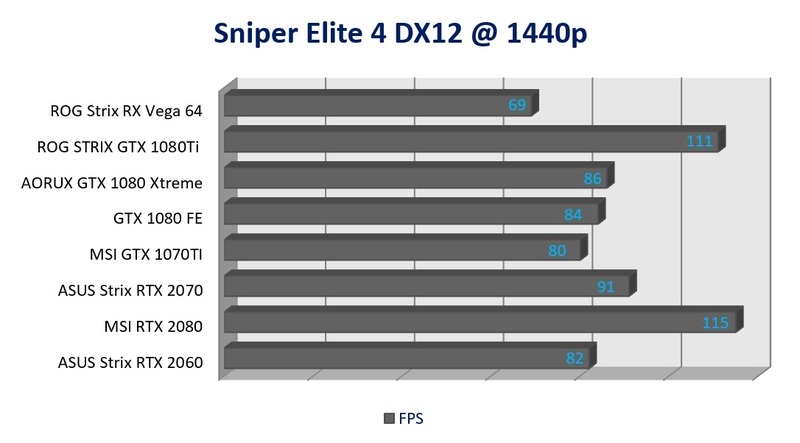 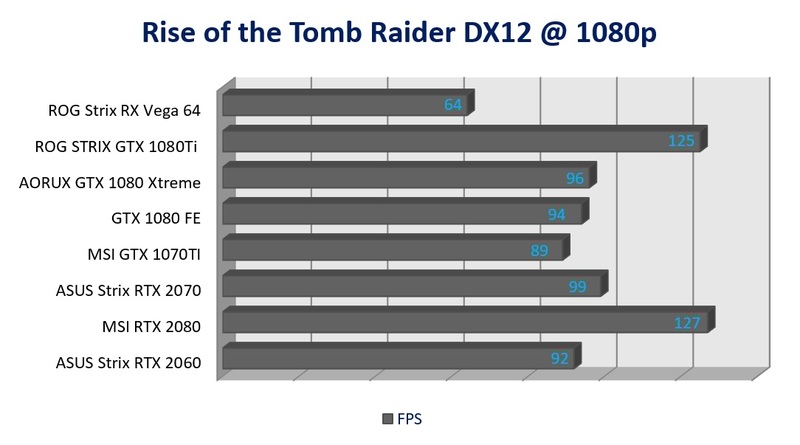 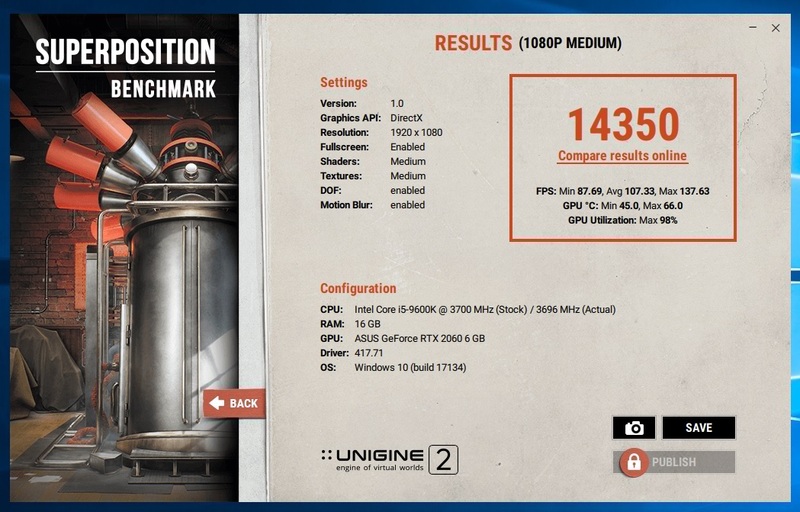 The RTX 2060 is rated for 37 RTX-OPS. 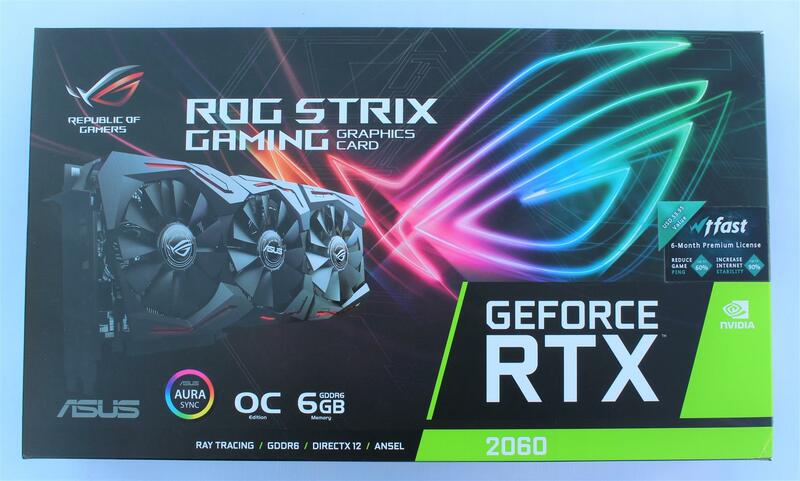 Now let’s see what ASUS ROG STRIX RTX 2060 6G Gaming card is packed with. 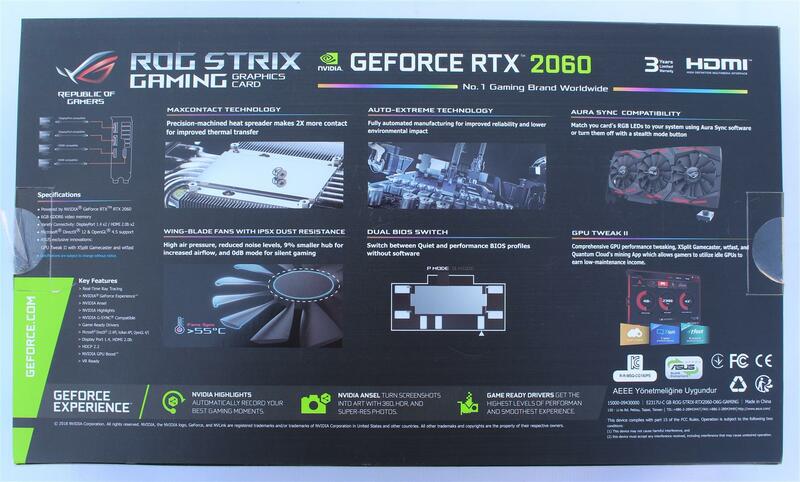 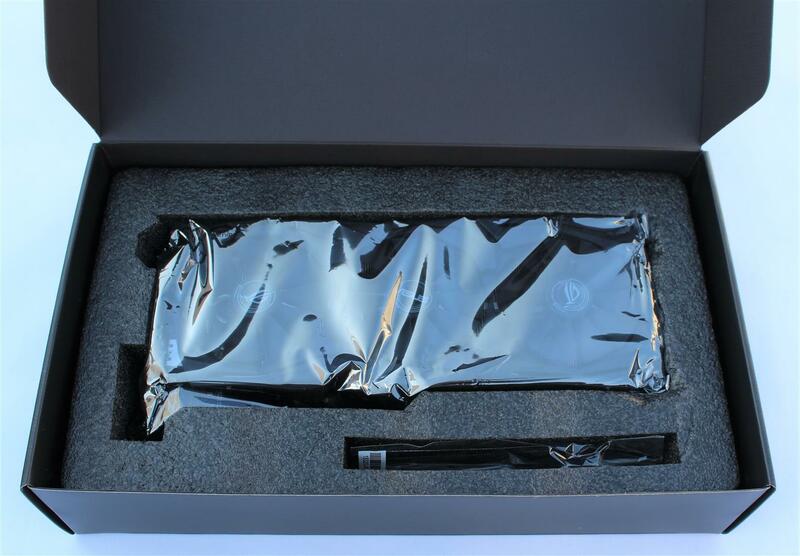 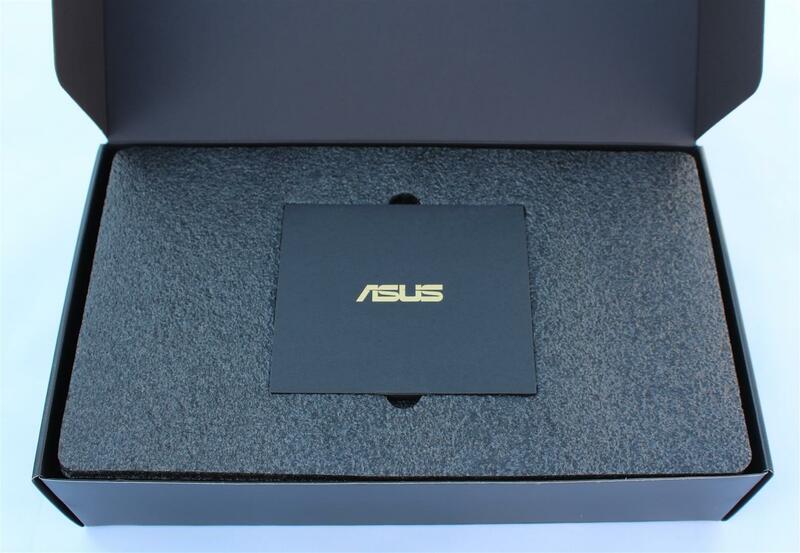 The STRIX RTX 2060 comes in a box securely packaged with actual product picture and STRIX graphics and features highlights on front and the back of the box. 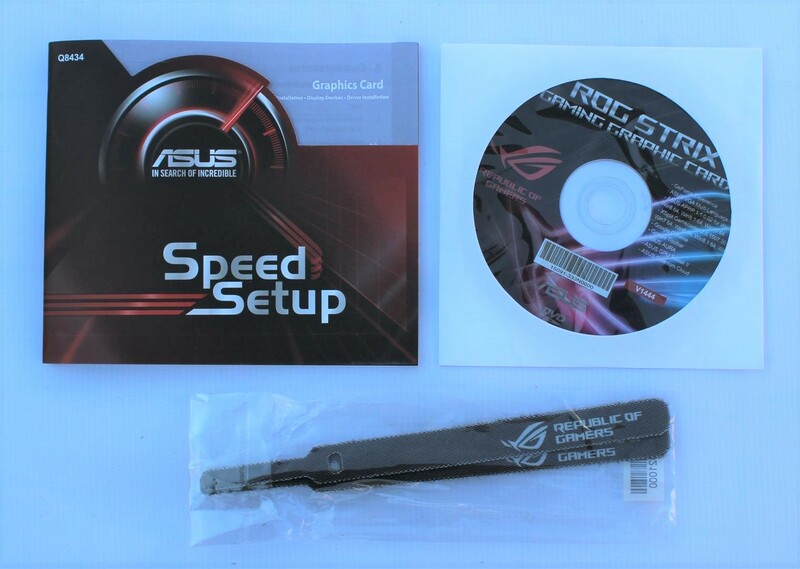 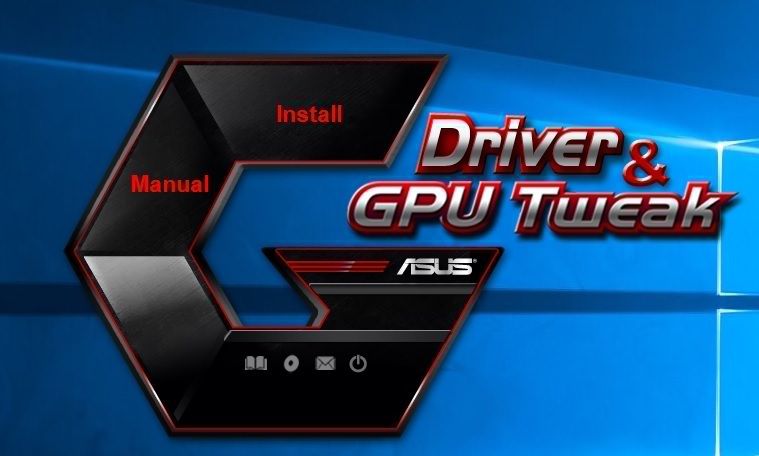 Along with the GFX card box also includes Software installation CD, quick start guide and two ROG Velcro cable tie straps. 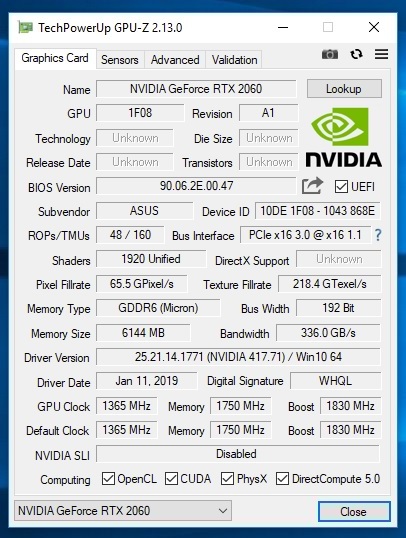 Card is having great looks with complete black theme. 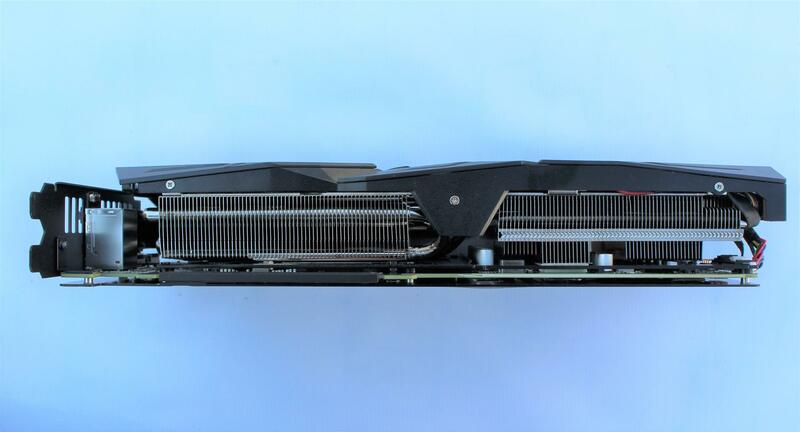 In front we have a big triple fan cooling with patented wing-blade fans mounted on to the new maxcontact technology heatsink. 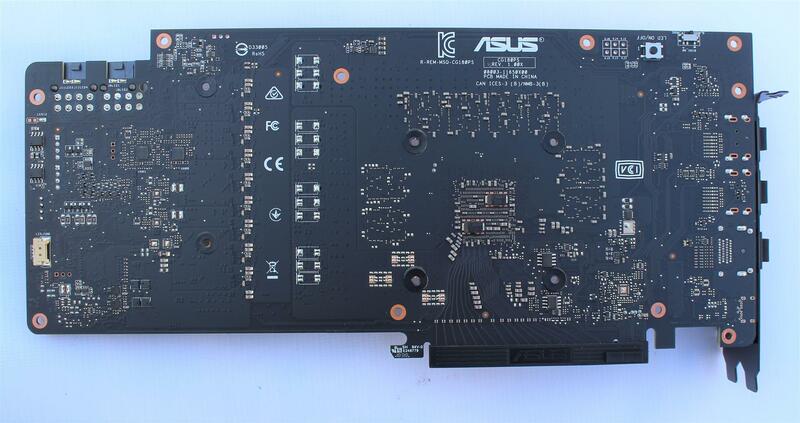 Back of the card have a thick back-plate with complete coverage of the PCB. 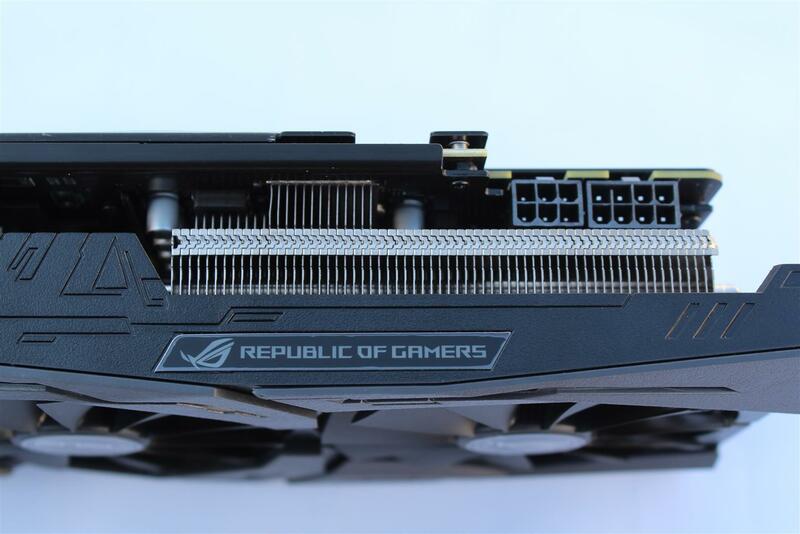 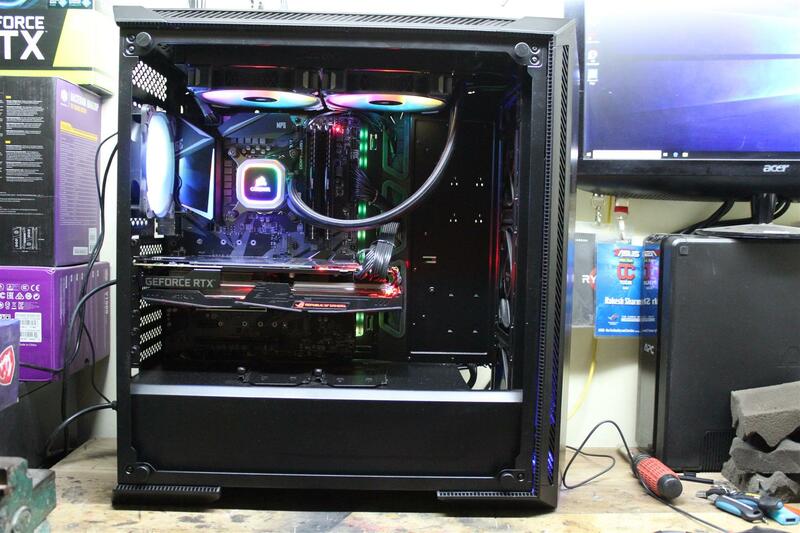 Beside etched graphics backplate also have a large ‘Republic of Gamers’ logo with RGB lighting which can be fully customized. 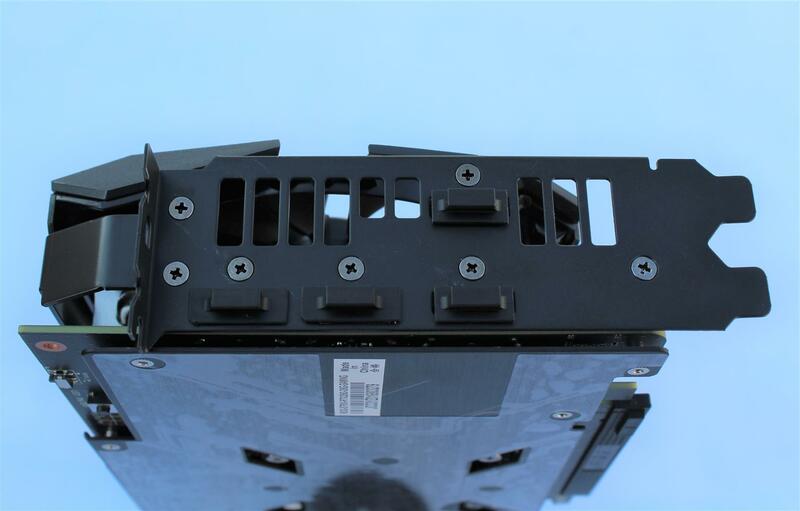 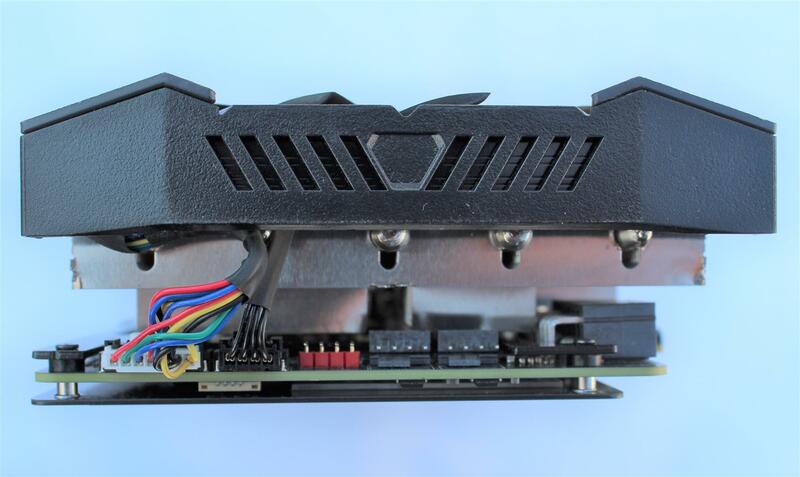 Due to the thick cooling solution card is a 2.5 slot design, but you will need 3 standard slots available to accommodate the card inside your PC. 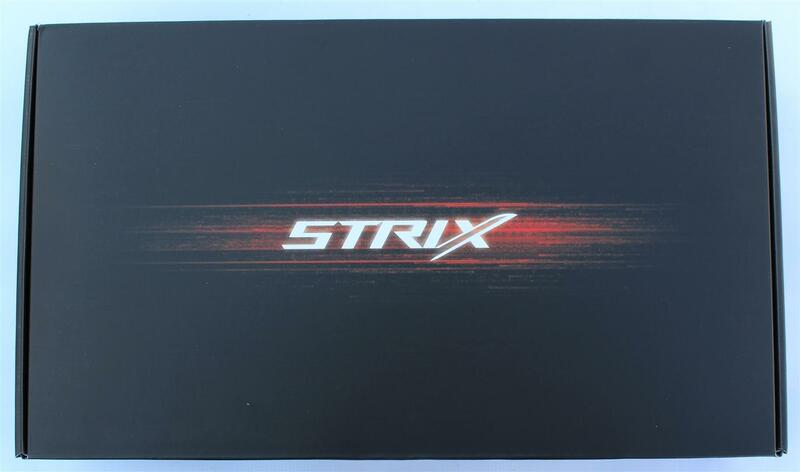 This Strix card features 8-pin and 6-pin PCI-E power connectors, which along with the PCI-E lane’s power provides this card with a total of 375w of power. 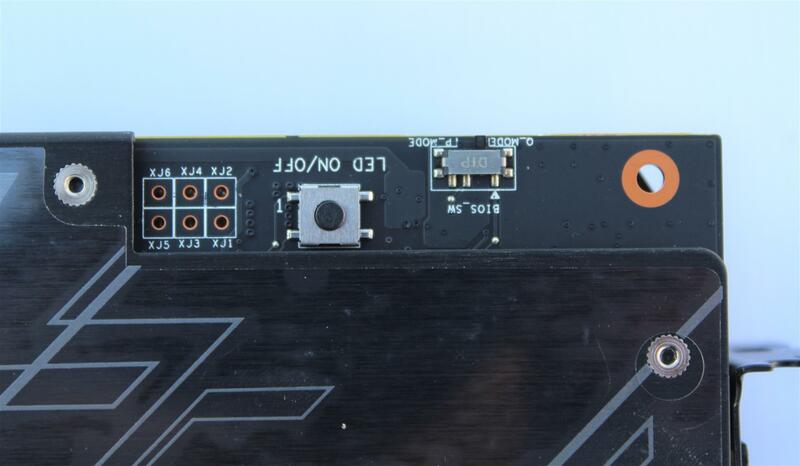 At the rear of the card we have lot of connectivity options consisting of 2 X DisplayPort 1.4 connections and 2 X HDMI 2.0 ports. 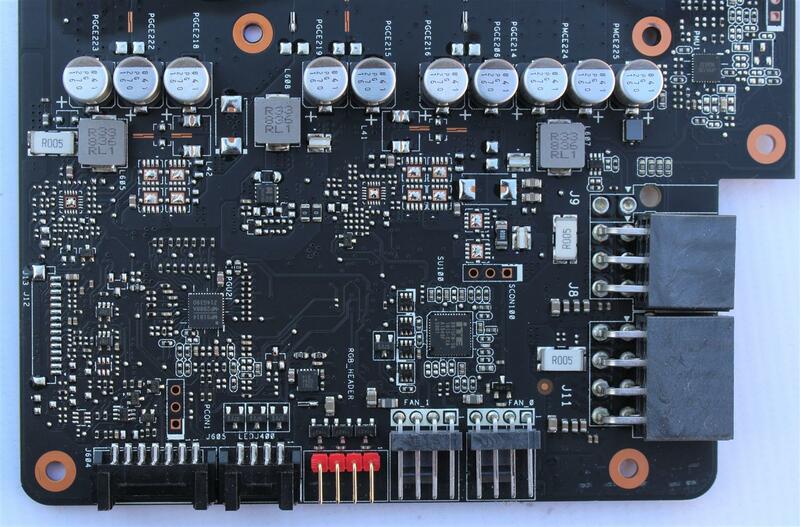 On the case inside end of the card we can see the new Asus Fanconnect II headers – a unique feature allowing you to connect two 4-pin CPU / GPU PWM-controlled fans instead of plugging them into your motherboard. 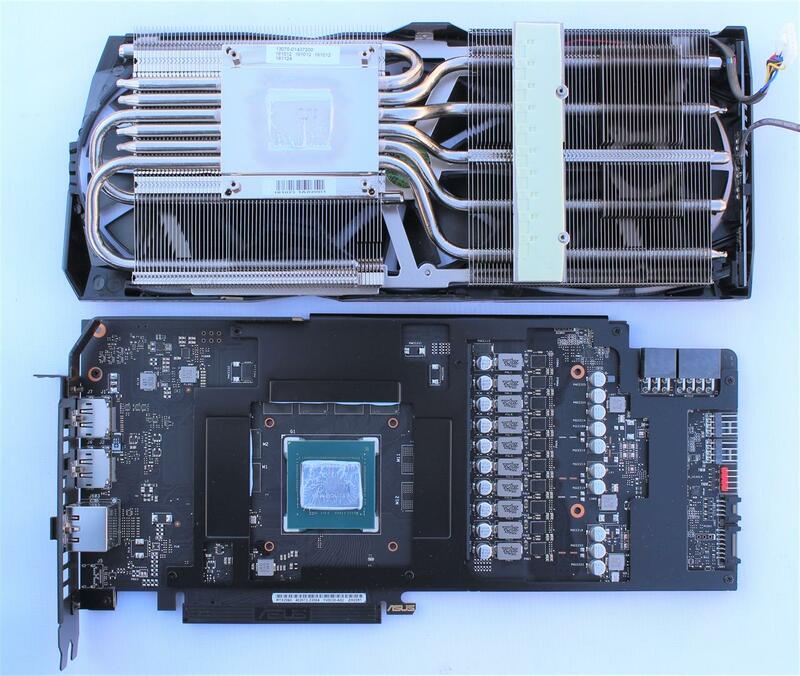 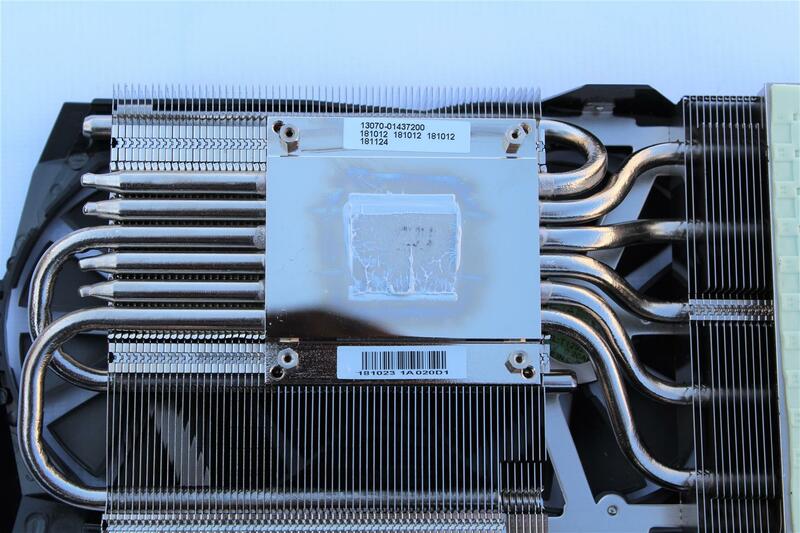 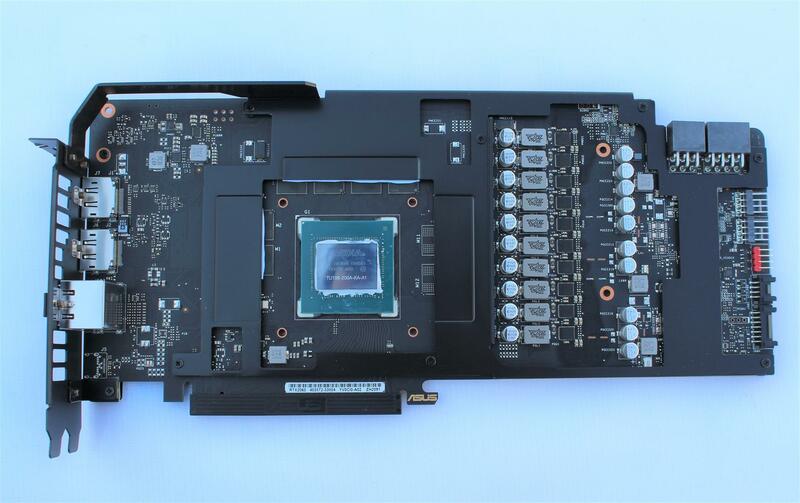 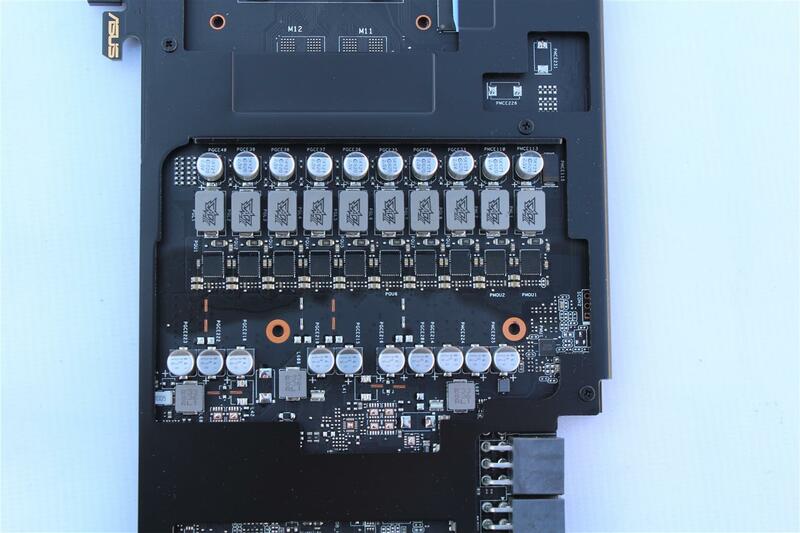 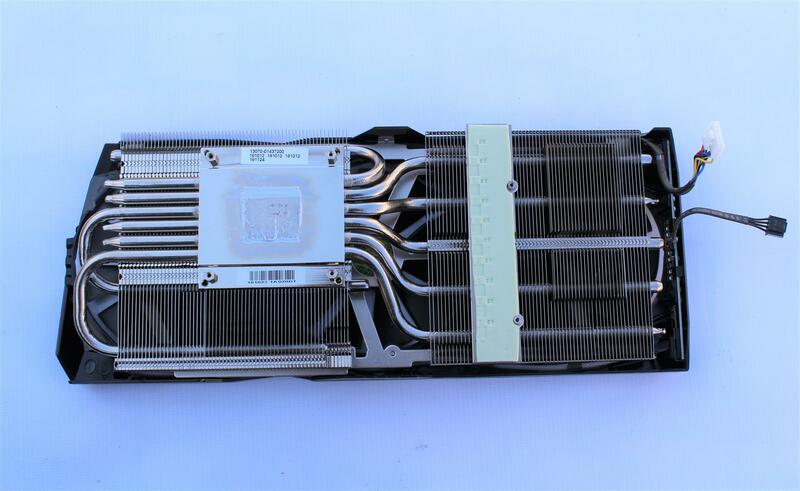 Removing the heatsink reveals all nickel plated cooling solution with six copper pipe fused onto a big copper base which is finely milled to give the GPU silicon perfect flat contact with the heatsink. 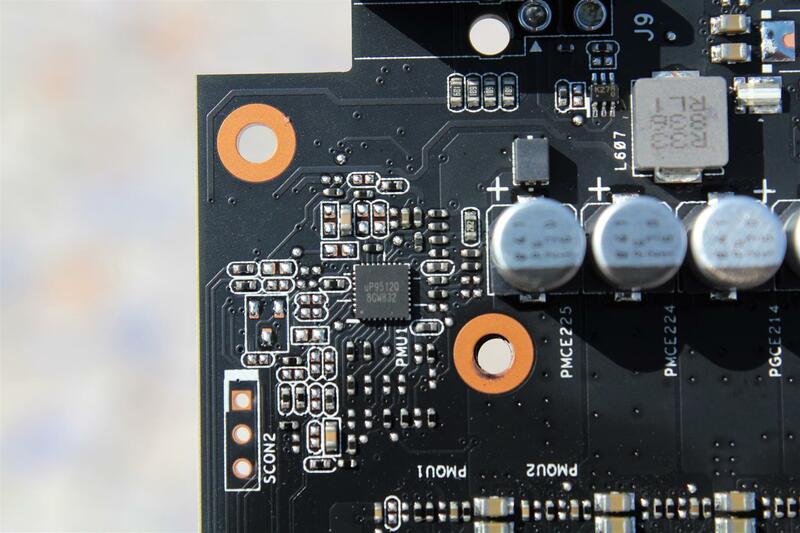 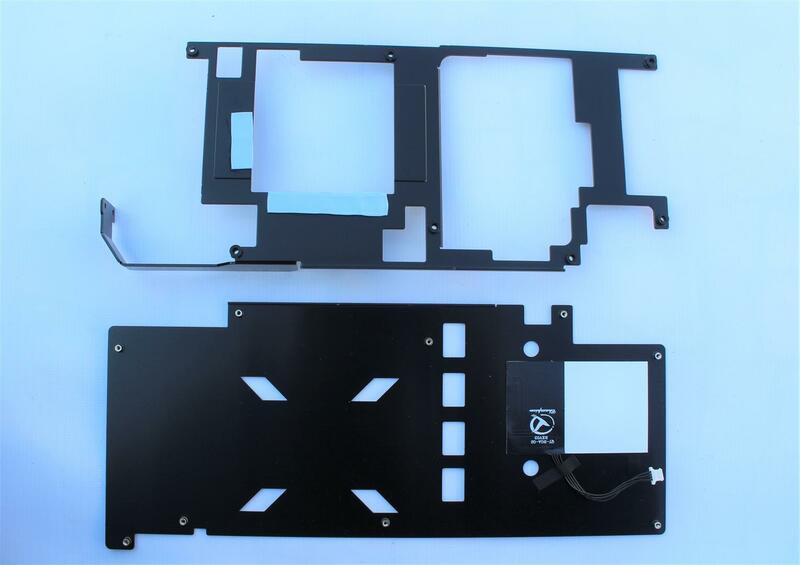 Whole PCB is given rigidity with strong aluminum frame. 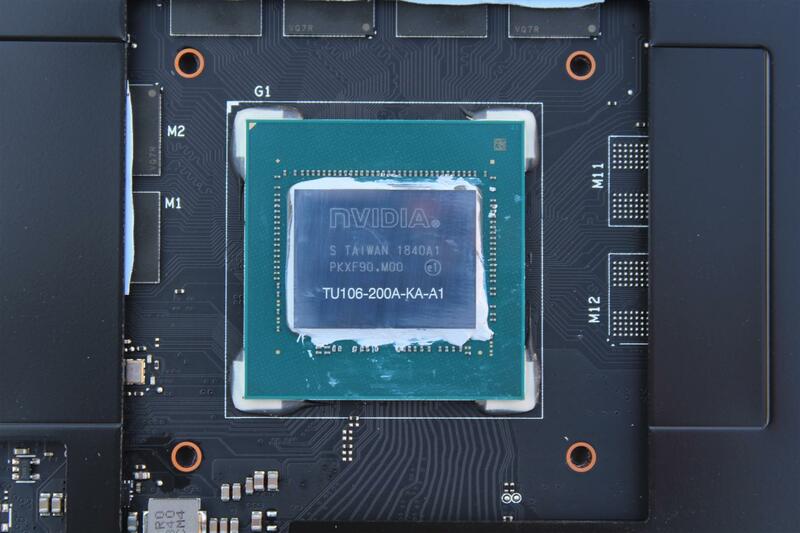 NVIDIA's TU106Turing architecture graphics processor made on a 12 nm process with 10.8 billion transistors packed in a 445mm2 die. 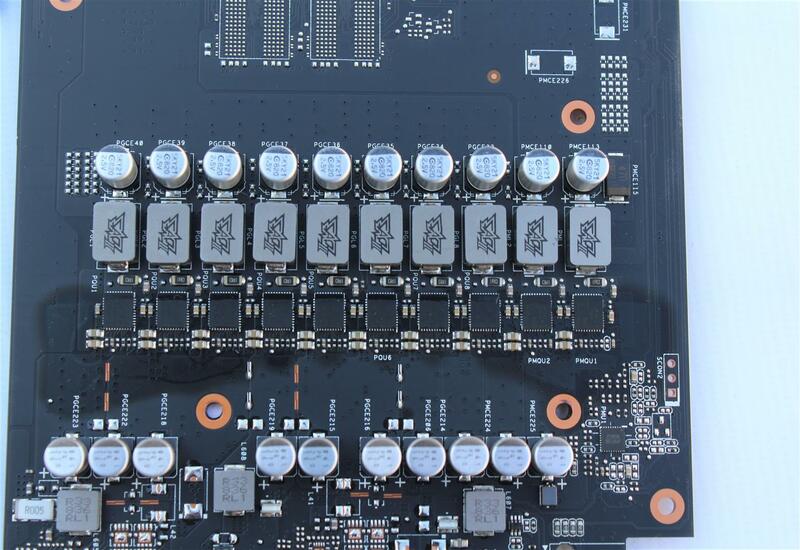 Card have 8+2 phase VRM power configuration. 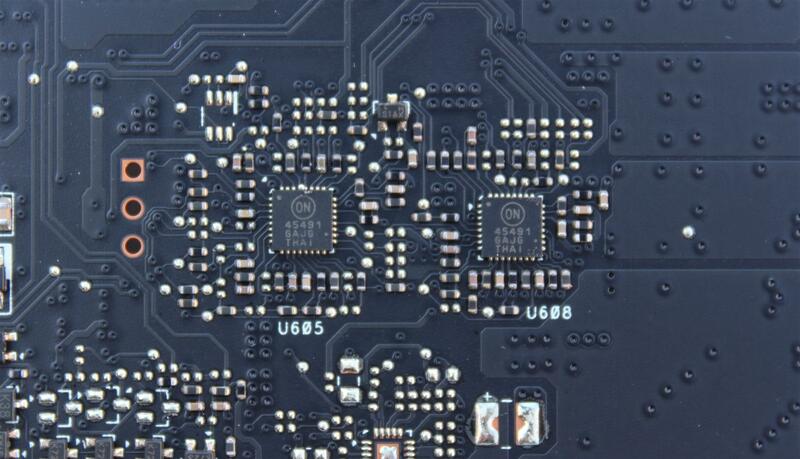 Where 8 phase VCore is powered by Texas Instruments CSD95481RWJ60A Synchronous Buck NexFET™ Smart Power Stages and 2 phase memory VRM uses IR TDA21483 Power module with integrated MOSFETs and driverchip, all controlled by uPcontroller uP9512Q . 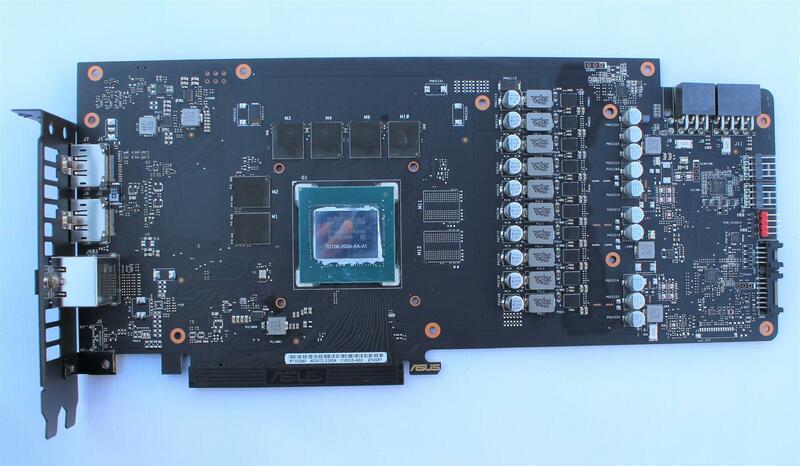 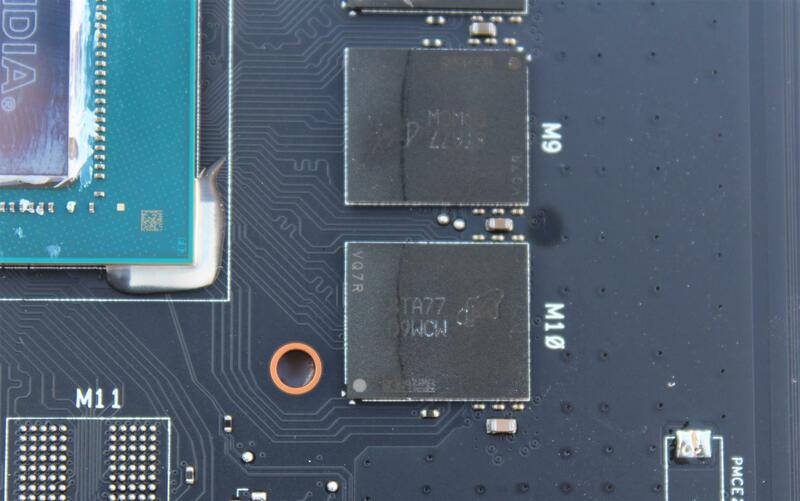 For Asus FanconnectII implementationiTE 8915FN-56 chip is used in this card. 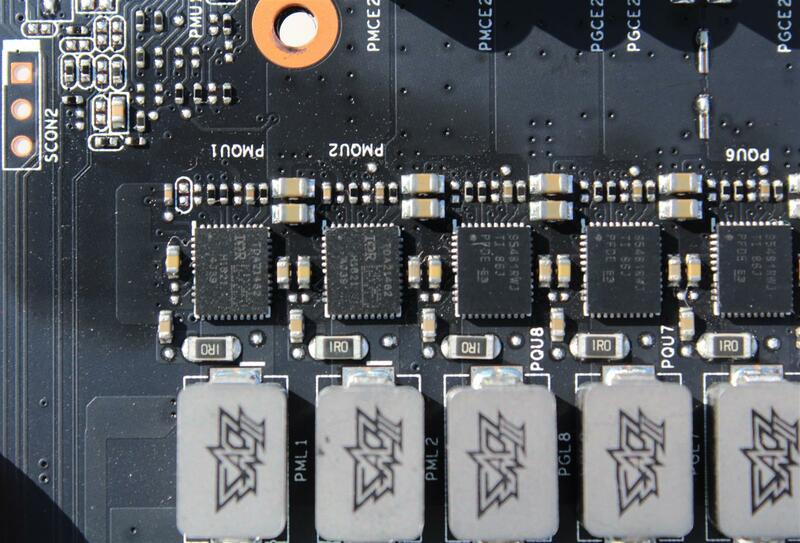 For Aura RGB lighting ASUS uses Monolithic Power Systems (MPS) MP2888A multi phase PWM controller chip. 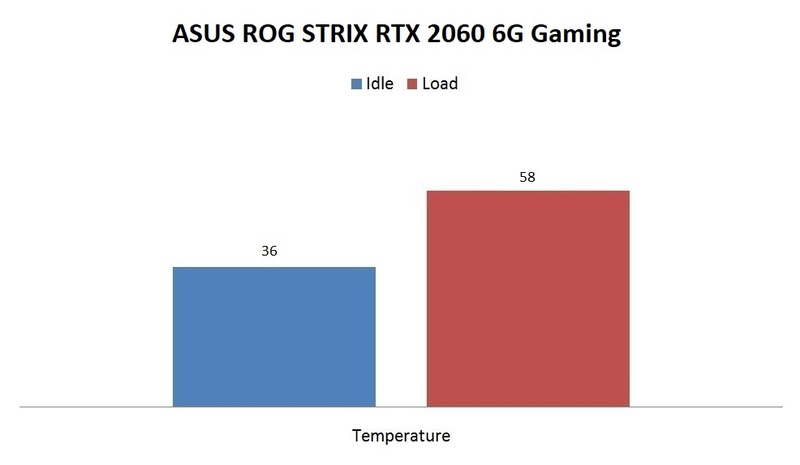 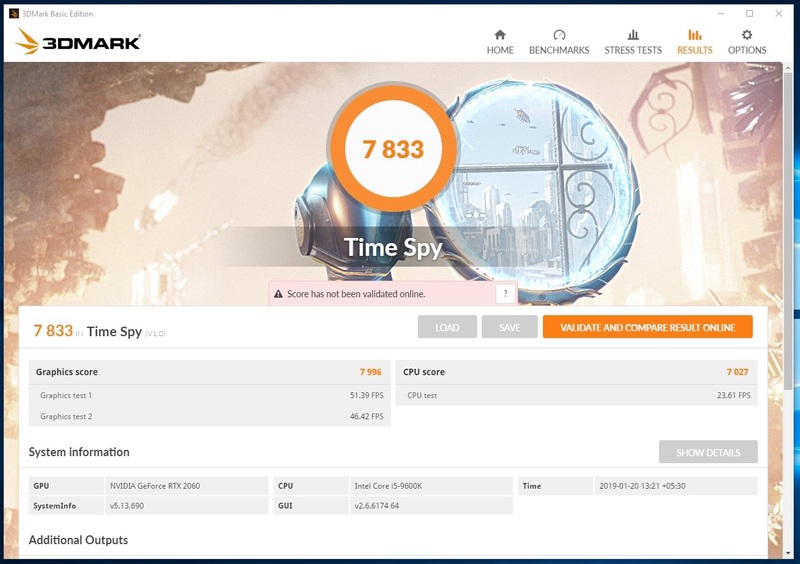 In idle, the temperature is real good and at full load running 3D Mark Time Spy temperature was ok and fans were not loud at all. 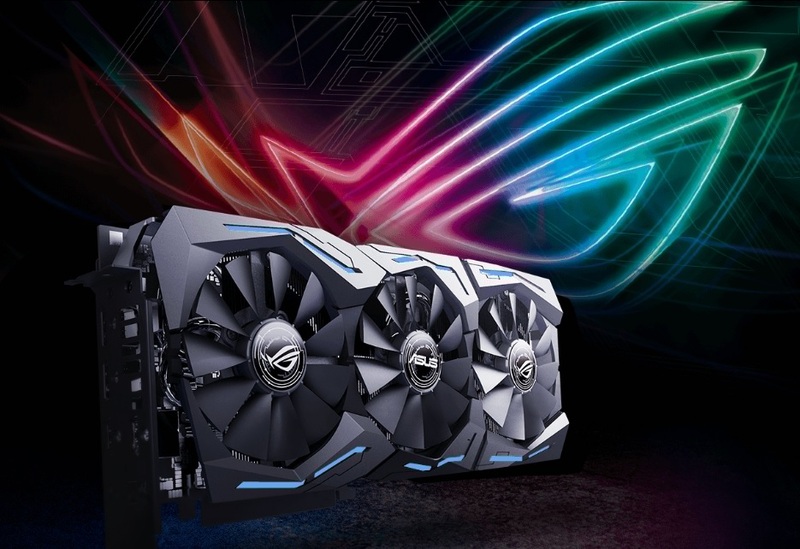 Being a ROG family product, the ASUS ROG STRIX RTX 2060 6G OC Gaming graphics card carries all the topnotch build quality and cooling performance, same as all ROG STRIX graphics card have and at a price tag of Rs.52K(approx) the ASUS ROG STRIX RTX 2060 6G OC Gaming graphics card is one of the best custom RTX 2060 graphics card out there offering great 1440p performance in current gaming titles. 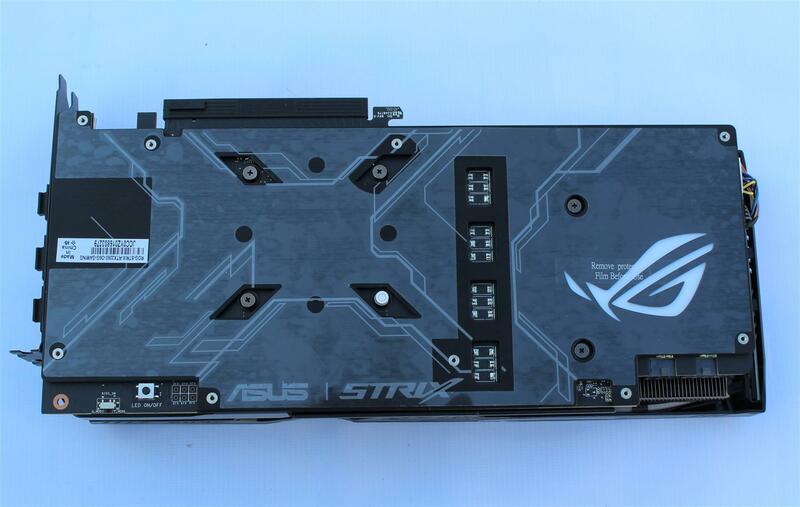 But by just raising the budget by Rs.8-10K one can get the ROG STRIX RTX 2070 with full 8GB of GDDR6 memory. 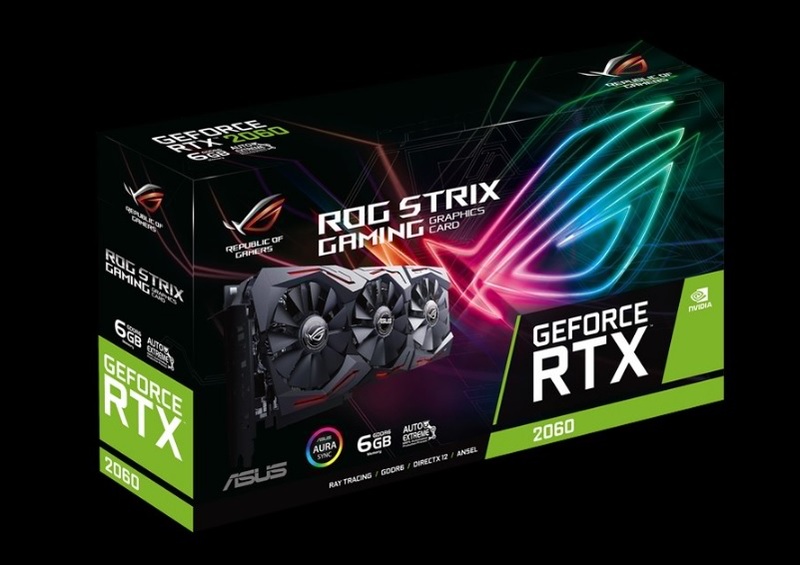 Finally if you are tight in budget and just want to get a Nvidia RTX card, the ASUS ROG STRIX RTX 2060 6G OC Gaming graphics card is our choice for a low price RTX card and worthy of our PC TeK Reviews CHOICE Award.